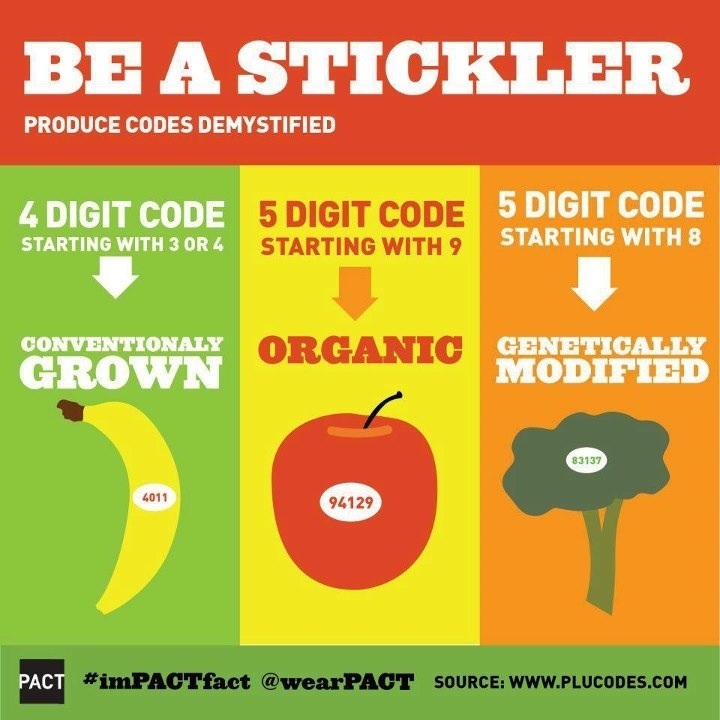 Even though California voters decided that they don't want labeling of food sourced from genetically modified organisms, you can still tell. 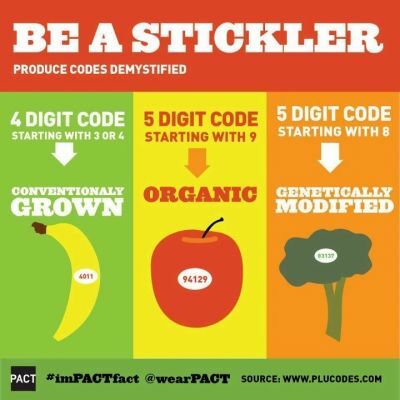 Just learn the codes on the standard produce stickers and choose wisely. Better still, buy produce at the local Farmers Market and know your vendors, or grow some veggies and fruit in your own (organic) garden. But the world is not always and everywhere this perfect, so learn those codes.